RMW2.19 Foundational Rolf Movement Integration Concepts, Skills, and Embodiment – This two-day class focuses on three foundation al concepts underlying most RMI interventions: touch, gravity, and stability-mobility. When these fundamental concepts are present, our client sessions become more refined, effective, and potent in facilitating lasting change. 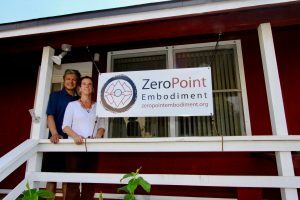 Our work takes on meaningful dimensionality as we partner with our clients to identify and address their patterns of structure, coordination, and perception. Touch: We will explore adapting our touch to match the intention behind our interventions, such as touch that evokes awareness, awakens proprioception, releases weight, supports continuity, or remaps coordination. RMI touch is capable of evoking shifts in tonus, sequence, and movement quality. We will practice shifting between and incorporating RMI educational touch and RSI fascial mobilization touch during client sessions. Gravity: The focus is to gain a better understanding of how our clients process their relationship with gravity. Through embodiment and observation, we will explore the dynamic interaction between centers of gravity, base of support, spatial orientation, and capacity for weight shift as primary avenues for integration. Refining our capacity to directly address our own and our clients’ patterns of movement relational to gravity is critical to facilitating lasting change in long-standing structural patterns. Stability-Mobility: There is a synergistic relationship between our capacity to stabilize for mobility and mobilize for stability. This kinetic dialogue occurs locally and globally and is foundational for coordinating motor control. We will consider the stability-mobility continuum from a systemic perspective and how, as practitioners, we can address issues during our table work and with movement exercises to encourage client participation at home. This class can stand alone or provide a useful prelude to the Spirals in Motion class that directly follows. 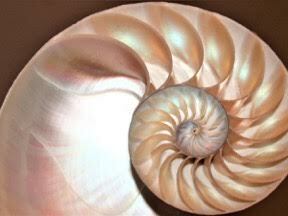 RMW1.19 Spirals in Motion – Nautilus shells, pinecones, galaxies, and fingerprints: spiral patterns are found throughout our natural world. The spiral is a powerful symbol for creation and growth, used by many ancient cultures and religious traditions. As Rolfers, we understand the spiraling arrangement and synergistic action of fascia, muscles, and joints to produce human movement. Rolf Movement helps us work with coordinative and perceptual patterns in order for the potential of this spiraling action to be expressed with ease. In this workshop, Sally and Rebecca will explore spiral motion to facilitate whole body connectivity and engagement with our environment. When we find ease in our natural capacity for spirals, from a single joint to whole kinetic chains, an inherent rhythmicity emerges in bodily and spatial relationships. Basic human movements, such as walking, become energized, integrative, and restorative. Participants are welcome to engage with the material from a variety of perspectives and interests. The curriculum is designed to facilitate personal embodiment and inspire practice specificity and creativity. The beauty of this natural setting provides a supportive environment to cultivate awareness, connection, and integration. *This professional CE course is also registered with IASI and NCBTMB. 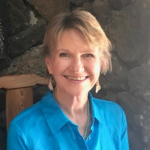 Rebecca Carli-Mills – A member of the Rolf Movement Faculty of the Rolf Institute (RISI) in Boulder, CO. She became interested in somatic movement studies while pursuing B.A. and M.F.A. degrees in dance. She earned certification in Rolf Movement® Integration in 1987, followed by Rolfing® and Advanced Rolfing® certifications. 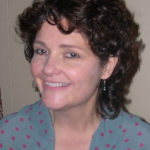 In 1994, Rebecca graduated from the Pennsylvania Gestalt Center for Psychotherapy and joined the Rolf Movement faculty. Rebecca’s understanding of gravity and movement potential has been enriched by her continuing studies with French movement expert, Hubert Godard, Ph.D. Additionally, she draws from training in craniosacral, energetic osteopathy, dance kinesiology and a variety of somatic movement modalities. Rebecca has a full-time practice in Chevy Chase MD. 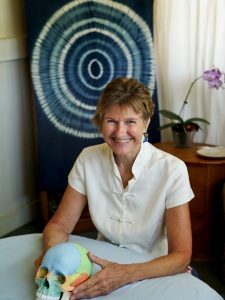 Sally Klemm – A member of the Advanced Faculty of RISI, Sally Klemm has taught certification courses in Rolfing® Structural Integration and cranial sacral work internationally. She is a graduate of UC Berkeley and holds a Master’s Degree in Education. 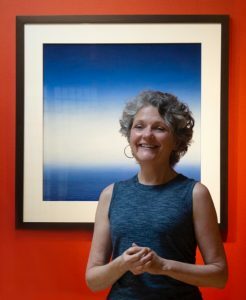 Sally’s ability to blend an organized cognitive style with intuitive understanding reflects her fascination with the interface of psyche and soma and how that informs our direct experience. Her teaching style creates a relaxed atmosphere that supports a variety of learning styles. When she is not traveling internationally to teach, Sally maintains a private practice on Oahu and Kauai. Camp Homelani means Heavenly Home and we invite you to come and experience the nine heavenly acres located on the North Shore of the Island of Oahu. Camp Homelani is nestled on the beach in a quiet residential community. Blessed with majestic mauka (mountain) views as well as breathtaking sunsets – Homelani is a place where you can see and experience Nature’s beauty. Group Kitchen: Full kitchen is provided for convenience. The price of your accommodation includes a light breakfast and “mostly” farm to table vegetarian lunch. Dinner is on your own. Historic Haleiwa Town is 10 minutes away. Please let us know in advance if you have any food allergies. Other Accommodations and camping options are available on North Shore. If you are not staying at Camp Homelani, there is a daily $25 food and day guest fee. We can assist you with airport transfers if needed and a rental car is optional. Camp Homelani is approximately 45 minutes from Honolulu and the airport.